Besides the fan fervor surrounding Breaking Dawn is the arguably greater fervor surrounding the cinematic release of the series' first installment, Twilight, which arrives in theaters this December. Of course, anyone familiar with the books shouldn't be surprised with the overwhelming anticipation for the movie's release, but I think even Meyer and the cast of the film were blown away by the level of mania they experienced during the packed-house panel for Twilight at this year's Comic-Con. But for those over the age of eighteen who are not mothers to screaming droves of teenage girls, Twilight may still be somewhat of a mystery. 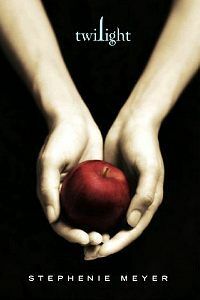 That said, we here at Screen Rant have prepared the ultimate crib sheet to bring you up to speed on the books, the film - the phenomenon that is Twilight. At the turn of the Millennium, Stephenie Meyer was just a Mormon housewife living in Phoenix, AZ, caring for her husband and three small boys by day, while writing for her pleasure by night. Her stories mostly revolved around a whip-smart young girl named Bella Swan, who moved from Phoenix to the rainy/misty town of Forks, Washington. Arriving in her new home, Bella was smitten with a tall, pale, handsome young man named Edward Cullen. There's was just one problem: Edward was a vampire. Though his family had long since abstained from drinking human blood, Edward couldn't resist the lure of Bella's scent, their love always one step ahead of tragedy. When an evil vampire learned that Edward had a human squeeze, he took to hunting Bella for sport, forcing Edward to make a hard choice between his heart and his fangs. Meyer submitted chapters from her fledging manuscript to a small women writers group that she belonged to, until their praise finally gave her enough nerve to send a teaser query out to a handful of literary agents. One agency bit, landing Meyer a deal with publisher Little, Brown Books for Young Readers; pleased with Meyer's pitch about a three book series, Little, Brown signed the untested author to a $750,000 dollar deal. Twilight was released in 2005, moving copy after copy despite lukewarm reviews from critics. No one could have predicted what a success Twilight would be. Even Little, Brown was having a bit of buyer's remorse at first, dispatching a publicist from NYC out to Phoenix to ensure that their new author wasn't some bumpkin who was going to go wide-eyed at seeing a handful of people line up for her book signings. Their anxiety was wasted: 3.2 million books in print later, Twilight was a smashing success and Meyers, the housewife, was a bonafide literary rock star. Two more books, New Moon and Eclipse followed in subsequent years (2006, 2007), flying off shelves just as quickly (2.6 and 1.6 million copies in print, respectively.) Eclipse even had the distinct honor of knocking the last Harry Potter book, Deathly Hallows, out of its long-held top spot. Chapters 2 and 3 of the series managed to expand the Twilight universe to a place rife with forbidden love, Werewolves, more Vampires, and a rival suitor named Jacob (a werewolf), who hopes to steal Bella's heart away from Edward by the end of Breaking Dawn.